This easy seasonal recipe makes a delightful summer tart that can be made in 15 minutes or less, plus baking time. I particularly like the combination of red and black currants, but you may vary the fruit according to your taste. 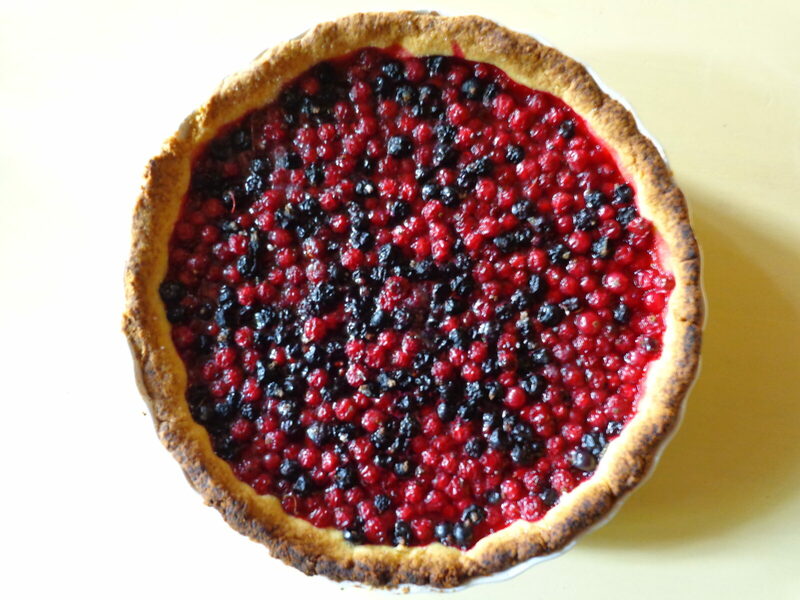 The recipe works equally well with just red currants, or with blueberries, blackberries or mulberries. Black currants on their own are a little intense, so I would recommend mixing them with another fruit. Begin by making your tart crust. Pat it into the pan as instructed in the recipe and set it in the fridge to chill. Prepare the berries: Remove all the little stems and leaves, and brush them clean. If you can get organic berries, you don’t need to rinse them. Otherwise give them a very quick rinse, drain and pat dry. 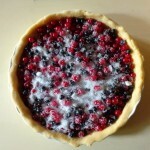 When the crust has chilled for 15 minutes, remove from fridge and fill it with the berries. Sprinkle the sugar evenly over the berries. Dot with butter. 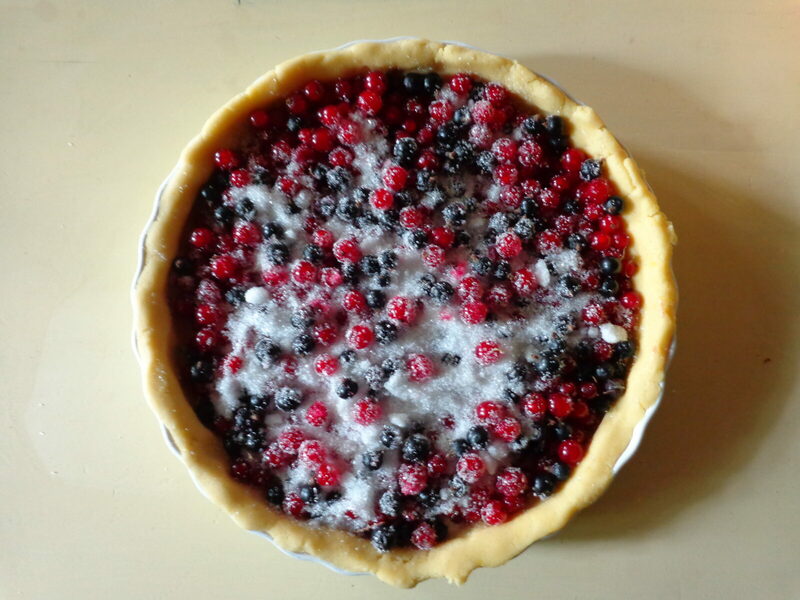 Bake for 30 minutes or until the crust is golden and the berries are bubbly. Serves 6-8.